To stay on the cutting edge of the coatings industry, Versatile Building Products has developed a new 85% Ultra-High Solids Polyaspartic Topcoat. The 5085 is an 85% solids Polyaspartic topcoat with a low viscosity and gives a high build. 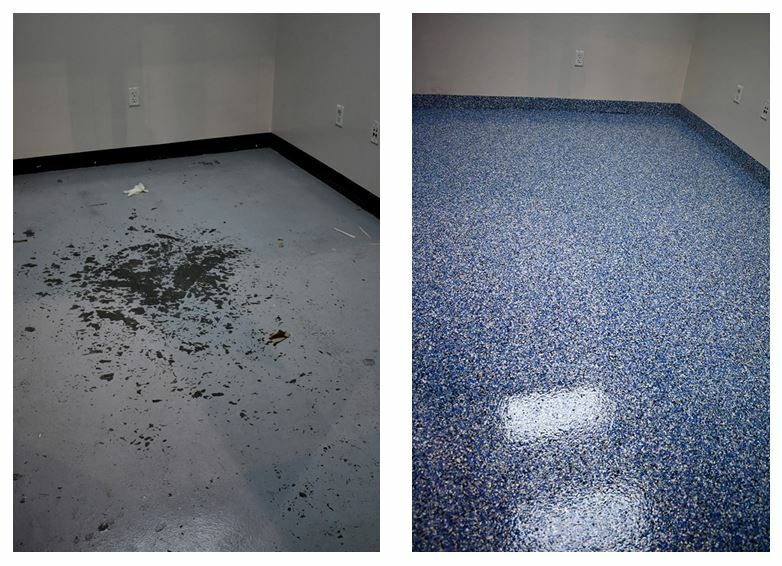 5085 was designed to provide durability and strength while giving the floor a glossy, luxurious finish with just one coat. As a result, 5085 is user friendly without sacrificing the performance of the finished product. Where can 5085 be applied? The applications for the 5085 are virtually limitless. You can use the 5085 to achieve any application that demands protection against high traffic, stains, UV rays, chemicals, abrasions while providing a high-end look. Ready to check out the 5085 for yourself? Contact us today! Previous post: Garagecoatings.com has you covered.